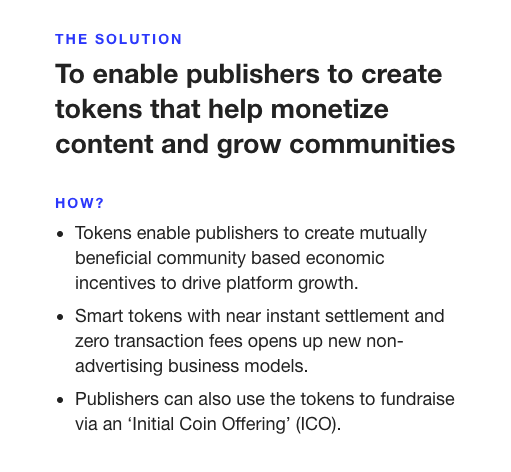 Advertise New Steem Smart Media Tokens White Paper? Google display network ads to https://smt.steem.io/ targeting to cryptocurrency keywords and audiences to maximize awareness of our new whitepaper! Facebook video ads for https://www.facebook.com/jbanfield/videos/1561929803827190/ which promotes both @ned's blog and the white paper link. YouTube video ads for the video I just released today sharing @Ned's request to read the white paper and my quick explanation of what it means for us! This advertising campaign is a continuation of what we have already done together at https://airtable.com/shrXuoYTnODWA0QG1. @Ned's new Smart Media Tokens white paper at https://smt.steem.io/ is the most exciting news we have had to share with the cryptocurrency universe since the release of Steem! Will we put our upvotes towards this post because every bit of the author rewards I get from this post will be spent on ads that will make sure this news reaches as many traders, investors, journalists, and crypto enthusiasts as possible? To make sure the announcement goes everywhere right away, I have already launched the advertising campaigns and trust the rewards to help pay for the bills from Facebook and Google! I currently have the ads running at $160/day covering the cryptocurrency world from nearly every angle! I will share the results soon in a new post! Facebook page with 2,249,979 likes. YouTube channel with 203,327 subscribers. PS: This post today is a part of my service as a full time witness for Steem! Witness votes are the most important votes we make on Steem because one vote for a witness lasts indefinitely! Would you please make a vote for jerrybanfield as a witness or set jerrybanfield as a proxy to handle all witness votes at https://steemit.com/~witnesses because when we make our votes, we feel in control of our future together? Thank you to the 1173 accounts voting for me as a witness, the 258M VESTS assigned from users trusting me to make all witness votes by setting me as proxy, and @followbtcnews for making these .gif images! Yeahh! Steem can make to the moon pretty soon(5-10$). I guess any ICO can be started on Steem platform in future? Exactly that is what makes this new whitepaper so exciting! ICO for just a dollar with a few simple lines of code and planning while buying in with STEEM! Yes Smart Media Tokens (SMTs) are huge ! Don't miss the opportunity! I'm glad you are excited for this new development, Jerry and I see other big fish are too. However for me - and I imagine a few other tiny minnows - this means nothing because I do not understand it at all. I understand not one aspect of it. I've just woken up to this excitement and read a few posts so far. No luck! 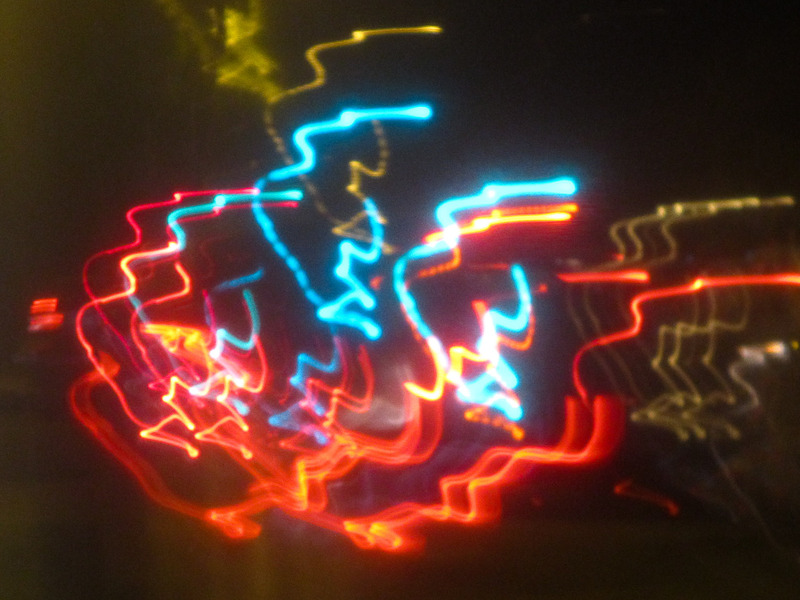 I still have no idea what this means and what - if anything - I should do to adapt to whatever this might be. Do I need to do anything, or can a new minnow stay in the dark and still succeed on steemit? "Go read a long whitepaper by Ned, Sharon and all will be revealed!" Thank you! I have tried to read a few other "papers" of that ilk and gave up. I am not educated enough for this. Today I am trying hard to actually post a post on steemit which is enough work already for my technically challenged brain as I go through my 20+ checklist topics of formatting and other things I need to do to make my posts successful here. Should I drop that plan and study up on Ned's New Idea instead? Is everything different on steemit now because of this announcement? Or is this just something for the big fish to worry about? Please Jerry, write a post called "Ned's new token scheme for idiots and what you need to do now (or not)" so we might have a clue. We are counting on you from the fog of steemit. Thank you! IMO, there's more incentive to post on Steemit than ever before. Why? 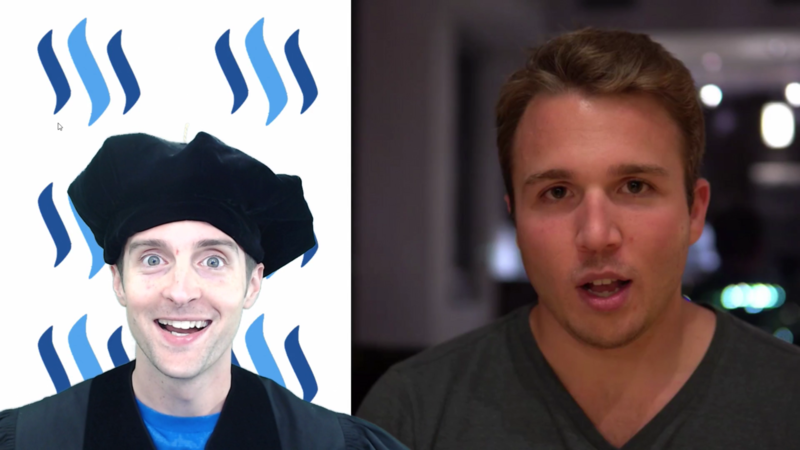 Because just the anticipation of what these "Smart Media Tokens" (SMT) could bring to Steem (the currency of Steemit) is very likely to drive Steem's price up, possibly higher than it has ever been. So, yes, you should continue to focus on your Steemit posts and don't worry about not yet understanding everything about SMTs. That understanding will come in time as we start to see people on Steemit experimenting with making their own tokens. Thanks @jamesbrown for this great response to @fitinfun comment since I am in the same boat as she is and I guess I should just concentrate on making posts and slowly all this will make sense. But I do have a question if you don't mind. Should I be buying more Steem? I don't feel right answering that question for you, for many reasons. Most of all, I'm no clairvoyant, so I can't tell you what Steem's price will do. What I can tell you is that I think the odds favor a price advancement in Steem for the next month or two, thanks to this SMT news. Whether that opinion is worth $0.02 or not, I dunno. That's up for you to decide. Thanks for your reply. I really appreciate your honesty. I am so with you @fitinfun. I try to follow all this exciting news, but no matter how much I try to understand I still feel lost. So I'm glad you asked this question because I had the same concerns as you and I fee like we are in the same boat. Aside from on this post - I was told in another place I can safely ignore this exciting news for the moment! So that's what I am doing :) It's so nuts here - with all these different new ideas. I have quite a number of issues on my "ignore for now" list. I just wish my "need to figure this out" list was shorter! Thanks for confirming this with me. It can be sometimes so overwhelming and I don't want to miss on anything that can help me in any way. But I made a new friend today, you and that makes it up for all this crazy stuff that is going on that I wish I could understand. nice work jerry u seem super excited? I love the GQ lighting on this video! Jerry, way to go, you salesman! Thank you @stellabelle! Excited to meet you at Steemfest2! Thank you Jerry. Love your work! Thank you Hiro for letting us know how you heard about it! Sound amazing @jerrybanfield. Why don't you make a jerrybanfieldcoin and show us how it is done? Yeah you should look into WAVES, it cost 1 Wave to make any crypto you want to make. And then we could have the STEEMFeast coin for commenting on Food Blogs that help subsidize Steem Bar-B-Que cook-offs. Selling everything I have but XRP and Bitshares and buying STEEM. That said...... I am holding my current vaulted BTC. This is a great move, I was literally thinking it would be awesome if there was a way to integrate steem like an API on other sites/applications beyond steemit. Glad to see the founders are continuing to develop an innovate such an exciting platform. Whoa! @jerrybanfield does not waste a minute. Got to read this whitepaper and make some noise. You're welcome and thank you for noticing @hanshotfirst! Followed! Wow very Exciting news @jerrybanfield thank you so much for sharing! This will be a game changing, c'mon! very cool @jerrybanfield I personally look forward to the future of crypto, steemit, and tokens. pocketsend:501@jerrybanfield, Upvoted, Resteemed, Voted for you as Witness. @jerrybanfield I tried to contact you in every possible way. There is a new project going on, named Utopian.io. Utopian.io rewards Open Source contributors for their work via Steem and has already got the attention of few relevant Steemit users. Thank you @elear I just upvoted your article and love the idea! I will share it in a future upvotable post! The wallet transfer you sent was successful in getting my attention because I did not see any of the other attempts. Thank you for the lovely post, wishing you all the best. :) information is sure to come in handy, but more than that, it gives me great confidence to know your hard work is being the useful. Great video Jerry, will definetelly spread the word to publishers i know! Interesting, I wonder when the JBanfield coin will be out? The future of the internet lies on monetization, and this is a huge step forward. That's great news @jerrybanfield. I hope blockchain tech and innovation will do great job in the future. Upvoted! Holy smokes, if I understand this, as a relative newbie, this is huge! It seems like a natural extension to the idea. I'm sure my local newspapers will be all over this. This is going to make mass adoption pretty much a guarantee! Media consumers are going to win HUGE, because the quality of content is going to go way up. Thank you @ned and @jerrybanfield ! It's invention like Google Adsense 2.0, with worry-free, effortless approach to reach out the croud & empowers to create monitized Facebook 2.0...!! It is a great news as it shows progress is made in steemit and I believe leads to more publishing from writers part too. Thank you. I think there are some very exciting developments in the works for Steemit @jerrybanfield... and it's great that you're helping get the word out. Somehow, it feels like we have been "going sideways" for a few months... it's time something big happened to help the community take a quantum leap forward! Oh, and I just voted for your witness... thought I already had, my bad. Great work. Keep it up guys! I'm really glad to see this! Congratulations @jerrybanfield, this post is the sixth most rewarded post (based on pending payouts) in the last 12 hours written by a Superhero or Legend account holder (accounts hold greater than 100 Mega Vests). The total number of posts by Superhero and Legend account holders during this period was 30 and the total pending payments to posts in these categories was $2465.34. To see the full list of highest paid posts across all accounts categories, click here. I received notification from youtube this morning and saw that you uploaded a new video. I am very happy for Publishers and Creators who are struggling to monetize their contents. I enjoyed your video and I am excited to read the whitepaper. I am still left with some questions but I will assume they may be answered by the time I finish the whitepaper. At first glance I do get a little concerned when I see a "content rewards curve" drop down menu knowing how big of a discussion the content rewards curve is/was on Steemit. Nevertheless this is an exciting time to be involved in the blockchain tech. space! It's not just about monitizing, which is huge, but also about bubbling up good content, just like Steemit does. wow this is amazing and hence you always have my upvote..I am passionate about steem ecosystem and will support anything that will lead to more success. I watched your video on YouTube and I think I even have my wife excited! I will follow your videos to see how this all unfolds. I'm trying to buy Steem right now . I have bitcoin in Coinable but how do I get it to BlockTrades to buy Steem? @jerrybanfield I believe that your promotions, collaboration and work on here is a big reason why the Steemit community is growing and I appreciate your efforts. I'm off studying and trying to become a better more knowledgeable member right now but I'm also trying to keep up with what you are doing and make sure that I don't miss anything important from you. Awesome, go for it Jerry! This looks very promising and I am very excited about it. Wow...this is getting bigger and bigger and more interesting. Watched the video steemit rockz. Is this a new ICO? How to invest in this ICO? I could not find info about how to invest? Ty for the information Jerry . I am following you now . Good luck whit the campaign. Well my vote is now worth about $0.42 and yes I'll upvote this post at 100%. I'm always happy to support your causes Jerry. Today I also was very happy I traded most of my recent BTC and ETH purchases for STEEM over the past couple of weeks. Wasn't sure it was the right decision at the time but now it seems like it's gonna pay off a bit better than if I had held the other two currencies. Wonderful to here this. Though would require a little clarity on how to use SMT. Perhaps a video tutorial ? Thanks @jerrybanfield. We all love what you do for the Steem community. This is great news. I am convinced it will offer great monetizing opportunities to many sites and consequently will add value to Steem and its currency. Thank you for sharing and promoting the news! As if I needed another reason to upvote your post. Let's get this thing rolling. An SMT will be traded through STEEM, so we won't have a bunch of SMTs and STEEM just one of them. We will have STEEM, and then a bunch of SMTs on top of STEEM. Market-wise, this will most likely boost demand for STEEM, as a token. Also, the SMT generation mechanism is way more complex than just a token issuance on the Ethereum platform. When you launch an SMT, you literally launch a thin layer of Steem-application-processes on top of your content, including your own rewards pool, your own inflation model, your own voting and curation algorithms and your own vesting mechanism. this sounds like a stunning potential for Steem.. Ill be curious to understand the details.. right now i barely get how they are pulling this off! Manly i wonder where the new reward pools come from, and if having Steem Power on your own account helps you to make your own coin..
Great work Jerry, lots of potential from what I am reading on the whitepaper thus far. Thanks for sharing this information. Great work as always mate. Keep it up! Hi! I represent the official ICO bounty program https://crypto.tickets. 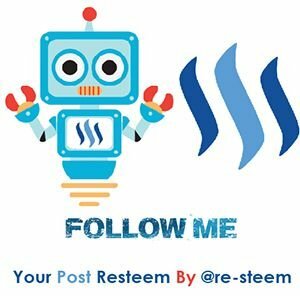 We really like your activity on Steemit and I want to invite you to our automated Steemit bounty program. You can get Stakes easily for every repost or post. Wud ya laik ta kno... that I luk laik a chimney sweeper? Jerry, please take off that cloak and crazy hat, or I will truely think you are Gauss or Kepler - Very confusing for my life. "Huge Potential," that says it all. I still need to read it and know what is all about. Vut for what you say it might be exciting. And i would like to ask you... what is your opinion abou attracking other type of bloggers that are blogging sbout something else that is not cryptocurrency related? Sounds like a great idea! I'm looking forward to seeing how this all pans out in the future. What's the best thing we can do to help? I'm resteeming, but not sure what else I can do besides reading the white paper and blogging about it myself. Hey pal, nice job with this beauty!! Adopting this would affect blockchain greatly. Hi most respected sir Jerrybanfield .Can you please vote me. I shall be thankful to you. Sir can You help me on steemit.